Hello everyone, and welcome to the week! It’s time once again for our look back at the noteworthy updates of the last seven days. After a couple of slow weeks to start the year, it feels like the App Store is winding up again, and with that comes a bevy of updates. Of course, you can keep an eye out for updates yourself using AppShopper Social (Free), the watchlist in the TouchArcade App (Free), or by participating in the TouchArcade forums, but this weekly summary is here to fill in the things you might have missed. Let’s dig in! Star Traders 4X Empires Elite ($4.99) is the latest Trese Brothers game to get an update. The new version brings with it 20 new technologies, significant UI improvements, bug fixes, and balance changes. It’s definitely worth checking out if you’re a fan of 4X games. Princess And Knight ($4.99) keeps getting tweaks and fixes from its developer, all while they’re preparing the sequel, no less. This time around, the changes are more subtle, with UI fixes and upgraded effects, along with a few bug fixes. Docking Sequence ($0.99) has proven to be a decent hit for Quantum Sheep, but some people are having trouble getting used to the controls. In the latest version of the game, some tweaks have been made to make the controls a little bit easier to handle, and instructions on how to full-stop your ship have been made clearer. Wrestling Revolution 3D (Free) was just here last week, but that doesn’t matter! What does matter is that the Rock Bottom is now in the game, along with the Pedigree, X-Factor, and several other moves. There are also 25 new characters and a bunch of bug fixes. You can play around with the lighting for your entrances now, too. Midway Arcade ($0.99) had a bad, bad bug. The kind of bug that keeps you from restoring your purchases. Nobody likes that kind of bug. Warner Bros. has not only fixed that bug, but added support for the new iPhones while they were at it. Happy endings for all! Vainglory (Free) gets a whole bunch of refinements in its latest update. Skaarf’s been more fully fleshed out with better visual effects and a unique voice, instant messaging and chat have seen improvements, and numerous balance changes have been made, along with the requisite bug fixes. Bloo Kid 2 (Free) got a big update that we already talked about earlier this week, but in case you missed it, the game now has a new world with nine new levels, some new gameplay modes, and a new nightmare difficulty level. It’s always nice to see a great game get more content. Pako ($1.99) is another game whose update we already covered earlier in the week. This update brings three new maps, five new cars, a paintshop that allows you to change the colors of cars, and Everyplay support for sharing videos, among other things. Craft The World Pocket Edition ($4.99) is a big game with a lot of content. Well, now it has even more, because this update adds animal breeding and gargoyles. It also includes memory optimization to help out people with older hardware, and a handy autofill for recipes you’ve already put together at least once. 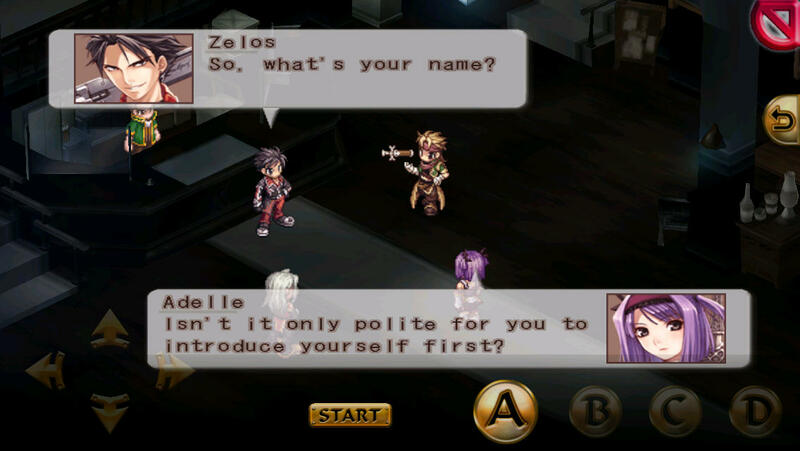 Blazing Souls Accelate ($4.99) has the easiest update for me to cover this week. Those with an MFi controller can now get the full console/PSP experience, as MFi support has just been added to the game. SHREDD (Free) gets an update bringing it up to speed with iOS 8 and the new iPhones, along with four new themes to unlock. Wait a minute, what the heck is SHREDD? Okay, so apparently the Tetris Company felt that dEXTRIS‘s name was inappropriately close to Tetris and started to wave a stick, so Chaotic Box opted to change the name to SHREDD to avoid any problems. Personally, I don’t see it, but I wouldn’t want to fight with those guys either. Any company that can ruin something as awesome and simple as Tetris by bogging it down with endless, pedantic rule changes is not to be trifled with. 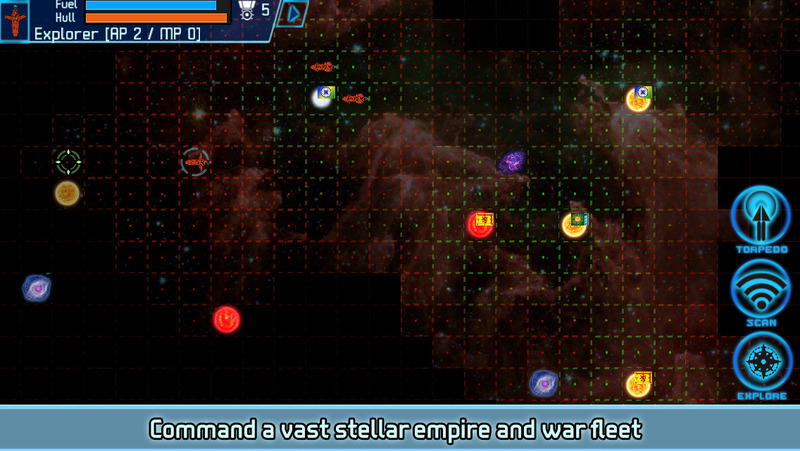 Galaxy On Fire 2 HD (Free) has the second-easiest update to summarize. Those with new iPhones and iOS 8 will be happy to know that this fine space adventure now fully supports both. It’s great to see this wonderful App Store classic keep up to date and ready to play for all. 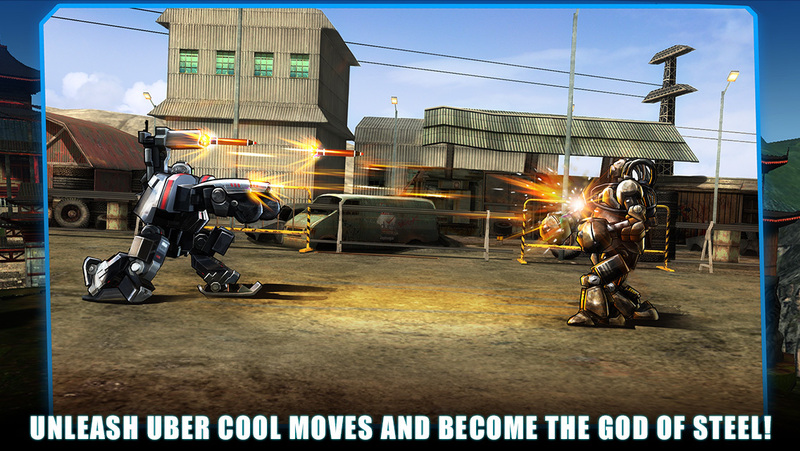 Ultimate Robot Fighting (Free) addds a new robot, Razor, to the mix, and unlocks more tiers of battles. The developers have also made it easier to rank up your robots in response to player feedback. And by feedback, I mean pitchforks, torches, and rocket-propelled cows. Seabeard (Free) is another game getting a lot of pitchfork-type feedback, and so the updates keep rolling along. The new version adds daily rewards, an item re-maker to dispose of unneeded items, and some fixes and tweaks. Owners of the iPhone 6 Plus may want to hold off, however, since the update also introduced a bug that will be fixed in the next patch. Whoops! Doug Dug. (Free) is an awesome game about digging, a surprisingly competitive genre. The latest version gets a few significant things added to it. First, a local high score table, which is something I’ve wanted from the very start. Next, treasure dropped by crushed monsters is no longer also crushed in the chaos. Monsters no longer have the ability to open chests, and Doug scoops up treasure a little bit quicker than he used to. Time to play it again! 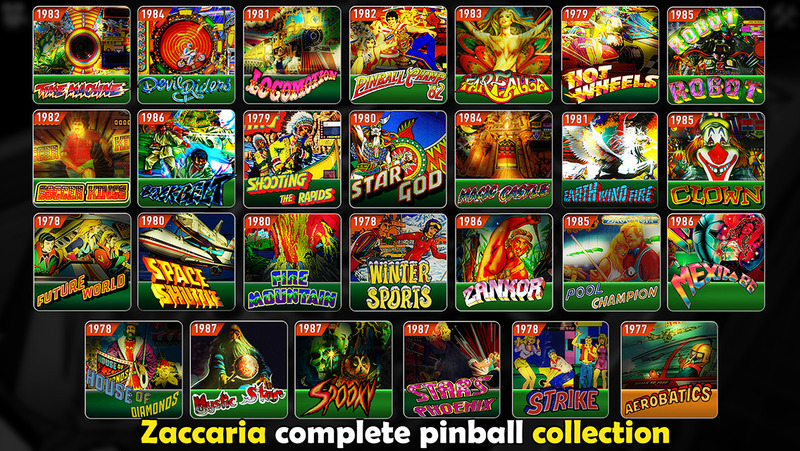 Zaccaria Pinball (Free) has assumed the real Zaccaria’s mantle as the perpetual third-place runner in the pinball market. It’s not quite as polished as its competitors, and the tables are certainly less well-known to North Americans in particular, but I appreciate that someone out there is officially preserving the frequently-forgotten European contribution to silverball. The new update has a ton of table-specific fixes as well as a few global adjustments to things like the launching mechanism and certain universal sound effects. Twisty Planets ($0.99) is an adorable little puzzle platformer, and its latest update adds two entire new galaxies to the game, along with some bug fixes and other tweaks. For its price, the game is an excellent value, and I definitely recommend checking it out if you haven’t already. Beach Buggy Racing (Free) adds a bunch of new stuff in its latest update. First of all, there are three new tracks each with their own theme. Next, two new gameplay modes, Championship and Quick Race. There’s also a new mini-game where you can win power-ups, and added support fora handful of languages. I haven’t played this one yet, but wow, if nothing else, it really looks good. I’ll have to check it out! Deathsmiles ($9.99) came to iOS a long time ago, and there was much rejoicing. Then, iOS 8 came, and Deathsmiles was broken, and there was much sadness, especially since Cave hadn’t been very active lately. At last, an update came that fixed Deathsmiles for iOS 8 users, and all was right again. I hope you enjoyed my short story. Bubble Witch Saga (Free) is here to ensure that not a week goes by in Update Mondays without a King mention. To be honest, this one looks like it arrived a little late, because it brings a holiday theme to the game, which I guess is cool? I don’t know, I’m all Christmas’d out for now. 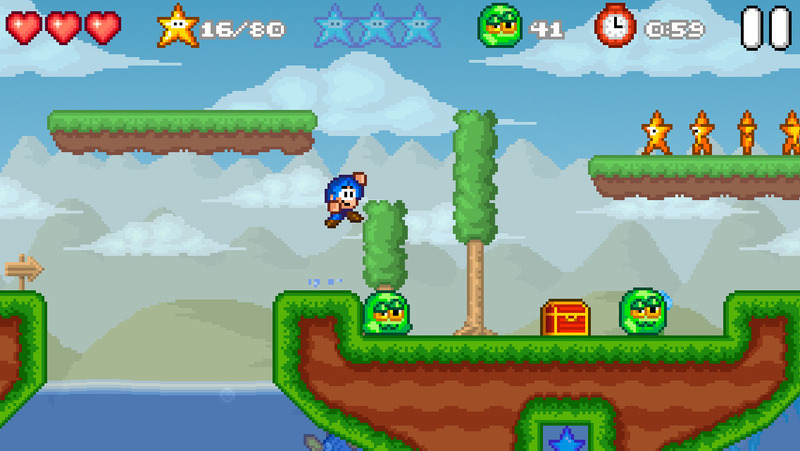 As of this update, you can also bug your friends to help you pass a level, so that’s something, at least. Phoenix Wright: Ace Attorney – Dual Destinies ($0.99) gave us all a bit of a scare after iOS 8 came out and a message was added to its App Store description saying that compatibility wasn’t guaranteed. Turns out that Capcom was doing what any legal professional would do, covering their rears. 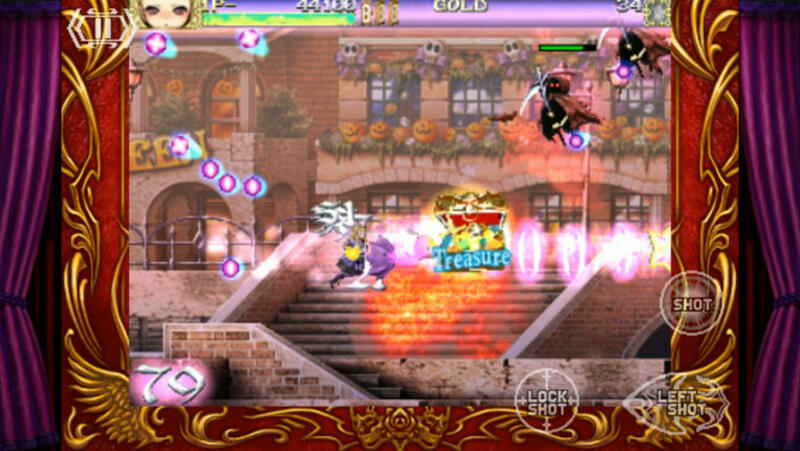 Happily, Capcom has finished their thorough check and the game is fully compatible with both iOS 8 and the new iPhones. They also fixed a couple of little bugs. Let’s hope they now turn their attentions to making sure the Trilogy works and maybe even getting around to fixing Ghost Trick? Glyph Quest (Free) rounds out this week’s updates with a rather important fix. When iOS 8 arrived, some users found they were having trouble purchasing the Mage’s License IAP. With this latest update, that should all be fixed now. Well, that’s about the lot for last week’s significant updates. I’m sure I’ve missed some, though, so please feel free to comment below and let everyone know if you think something should be mentioned. As usual, major updates will likely get their own news stories throughout this week, and I’ll be back next Monday to summarize and fill in the blanks. Have a great week! Get ready to mash some buttons!